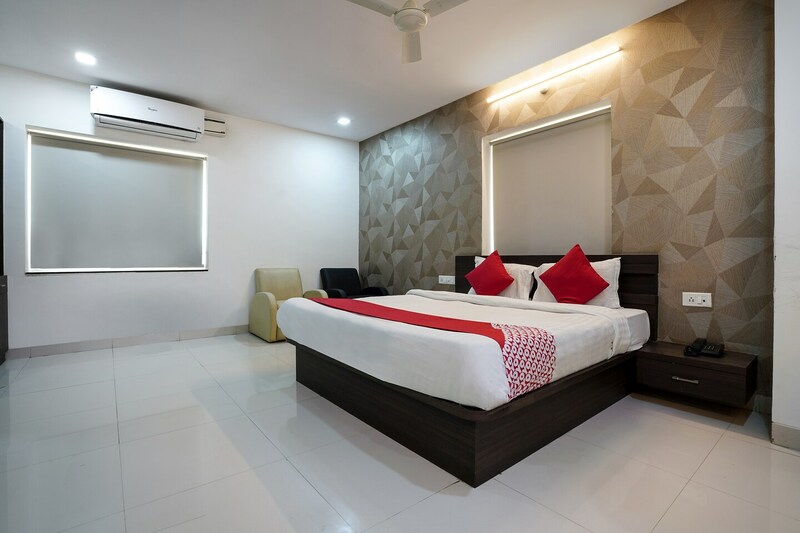 Apartment Kondapur is a furnished and trendy property located in near Sai Baba Temple, Prashanth Nagar Colony, Kondapur, Hyderabad. Laxman Point and Buffalo Lake are located nearby to the property. The rooms are spacious and fully furnished. Walls are furnished with abstract style effect. The interiors have a modern feel and the furniture is well-maintained. Each room is equipped with Free Wifi, King-sized bed, AC, TV, and geyser. The hotel offers a power backup, parking facility, and card payment facility. There are CCTV cameras installed for surveillance of the property. There are a lot of eateries and market places nearby the hotel namely Flavoroso, Beer County, The Chocolate Room, Maa Ooru Biryani and Aao Khao.